Do you use your credit card for daily purchases? Well, you could actually be protecting the items you purchase just by paying with your credit card. When you charge a new item to your credit card, you may be protecting yourself against potential loss, theft, or damages. Many rewards credit cards offer a wide range of insurance coverage, one of which is purchase security insurance. This insurance will protect you in the event that a newly purchased item is lost, stolen, or damaged, which is bound to save you money. Here’s a brief rundown on everything you need to know about purchase security insurance. What is purchase security insurance? Purchase security insurance protects you against possible loss, theft, or damage of new items purchased anywhere in the world for a certain period of time. If you find yourself in a situation where a recently purchased item has been lost, stolen, or damaged, you can file a claim to have your item replaced or repaired, or be reimbursed for the purchase price. You must have paid for the item in full using your credit card to be covered. Be aware that most purchase security insurance plans have a yearly or lifetime limit. For example, you might have a maximum lifetime benefit of $60,000 on your card. This means you’ll only receive coverage up to $60,000 as long as you live. If you try to claim addition purchases, you will not be reimbursed. What is covered under purchase security insurance? Purchase security insurance covers your personal property and gifts you’ve purchased. You must have used a credit card with purchase security insurance as payment for the item you wish to claim. What is not covered by purchase security insurance? What is reimbursed in a purchase security insurance claim? You’re able to file a claim for any eligible purchase made using your credit card. However, the decision of whether to replace, repair, or reimburse the item is often left to the discretion of the insurance provider. How do you make a travel purchase security claim? You should call your insurance provider immediately after learning of any loss or occurrence to obtain the appropriate claim forms. Most insurance providers require you to report damage or theft within a given time period (typically 45 to 90 days). Note: If the claim is for a gift, the account holder (not the recipient) must file the claim. The most important thing to note is that purchase security insurance can vary greatly depending on the card you have. You’ll want check the extent of your coverage before depending on it. Also, coverage is often limited to a fixed amount over the span of your lifetime. You may want to hold off on making claims on less expensive items in order to ensure you have coverage for more expensive items when you need it. Finally, remember that in order to be covered, you usually have to pay for an item using the credit card with purchase security insurance. 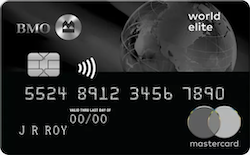 Want a rewards credit card with purchase protection?